If you like North Face deals, here is one you may want to check out on 6pm. 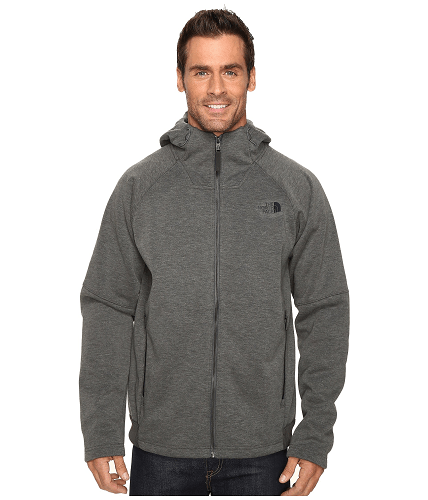 They are offering this The North Face Trunorth Hoodie for $53.70! That is down from the normal price of $179, for a 70% savings. They do offer free shipping on orders of $50 or more, so this will ship for free. Orient yourself toward easy, cold-weather layering with the midlayer or outerlayer performance fleece Trunorth Hoodie. • Tightly knit outer face moves easily under top layers. • Brushed fleece backer increases surface area for warmth retention. • Knit blend with a touch of wool for natural insulation properties. • 425 g/m² fabric weight. Rubberized Hypalon™ zipper pulls for easy use with gloves. Adjustable, three-piece hood with microfleece chin lining. Full-length zip with molded-tooth zipper. Straight hem with rib-knit back panel.